Previously, it was thought that 95 percent of the universe is comprised of an unknown entity called 'dark matter'. 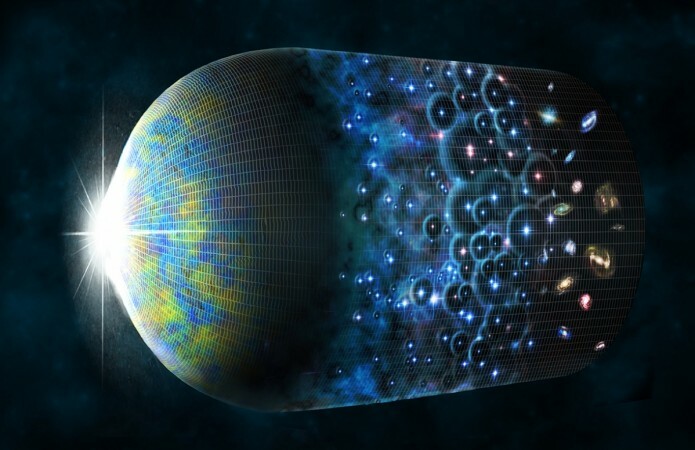 But now, a new study conducted by an Oxford University researcher has found that it is not the dark matter, but a dark fluid that is filled in this 95 percent of universe space. In a paper published in the journal Astronomy and Astrophysics, Oxford researcher Jamie Farnes reveals that a single unified dark fluid of negative masses could be there in the universe instead of the previously speculated dark energy. As per Jamie Farnes, this dark fluid of negative masses will repel all materials around them, and this phenomenon is primarily responsible behind the expansion of the universe in high acceleration. Farnes also believe that more studies on this hypothetical form of negative masses could unveil the real reason why galaxies get to hold together in space. As per Farnes, we are living in a positive mass, and as a result, the concept of negative mass in the form of a dark fluid could seem bizarre for human conscience to digest. "One may argue that this sounds a little far fetched. But while negative masses are bizarre, they are considerably less strange than you may immediately think. For starters, these effects may only seem peculiar and unfamiliar to us, as we reside in a region dominated by positive mass. Whether physically real or not, negative masses already have a theoretical role in a vast number of areas. Air bubbles in water can be modeled as having a negative mass," wrote Farnes in a report published in the Conversation. The Oxford University researcher also added that the usage of the Square Kilometre Array Telescope (SKA) will help to study more about this mysterious dark fluid. Farnes believes that analyzing the universe with the world's largest telescope like SKA could help to know whether this dark fluid is a reality or not. "I'm planning to use the SKA to compare its observations to theoretical predictions for both a negative mass cosmology and the standard one – helping to ultimately prove whether negative masses exist in our reality. What is clear is that this new theory generates a wealth of new questions. So as with all scientific discoveries, the adventure does not end here. In fact, the quest to understand the true nature of this beautiful, unified, and – perhaps polarised – the universe has only just begun," added Farnes.